I finally saw a new Chrysler Aspen today. 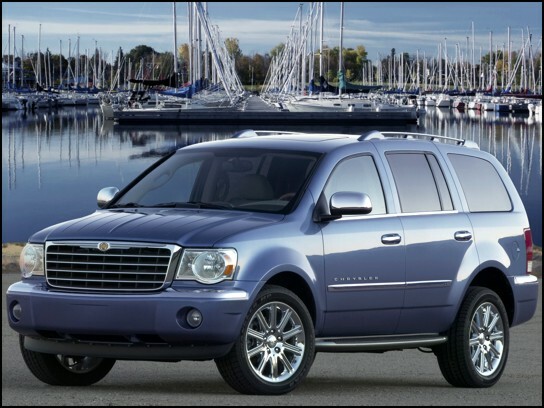 The Aspen is Chrysler's version of the Dodge Durango. I've always thought it was hideous, but actually it's not that bad looking in person. It's also a lot bigger in person than I thought it would be. But why did they name it after the Dodge Aspen? I don't get it.